College can be a challenging experience for some students. In particular, first-generation students and other students who have no parental script to follow when it comes to making academic or social decisions about college life may find themselves overwhelmed. From the first day of classes, the Academic Support Center provides an important connection to campus resources for all students, encouraging their academic success, integrating them into campus life, and creating a support system to ensure they will excel in college and beyond. 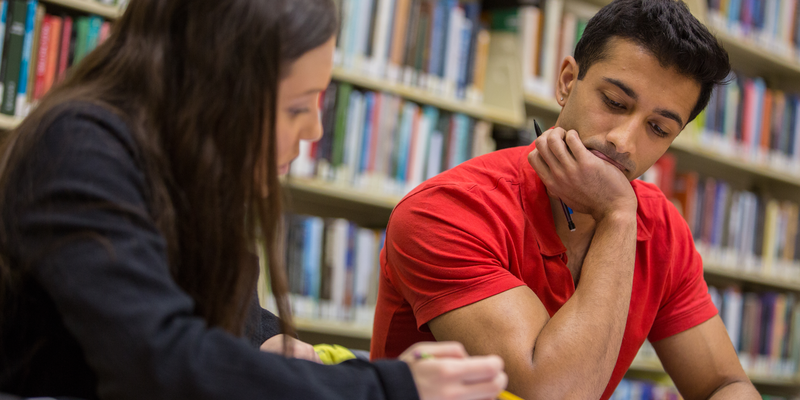 The Academic Support Center serves as a go-to academic resource within the residence halls, providing students with a wide range of support services to help them meet the academic demands of college-level work. Thousands of students benefit from ASC’s services each year. ASC staff facilitates both group and individual tutoring, workshops, study groups, study tables, and academic advising, with the goal of ensuring IU Bloomington students keep on track to a degree. All three Academic Support Center locations (Briscoe, Forest, and Teter) offer an array of free services, including tutoring, advising, workshops, review sessions, and other academic support.